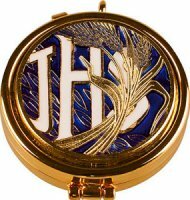 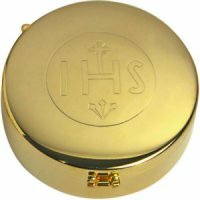 Gold Pyx IHS With Closing Mechanism. 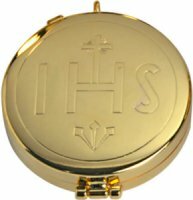 Gold Hospital Pyx IHS With Closing Mechanism. 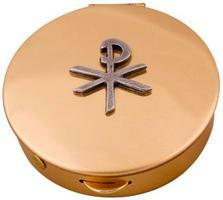 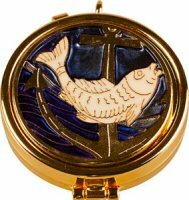 Bronze Pyx with PX Design. 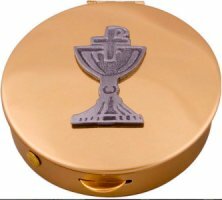 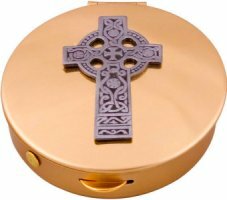 Bronze Pyx with Celtic Cross ​Design. 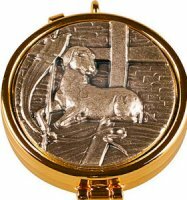 Lamb Pyx in Antique Silver. 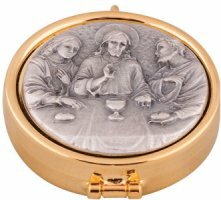 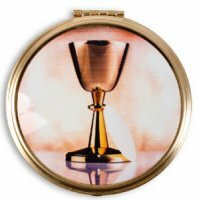 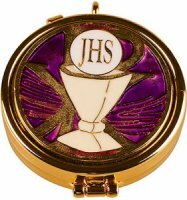 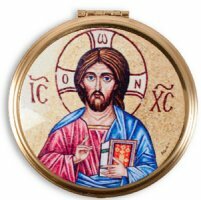 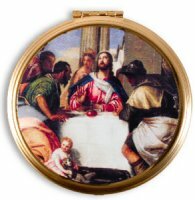 Last Supper Pyx in Antique Silver.